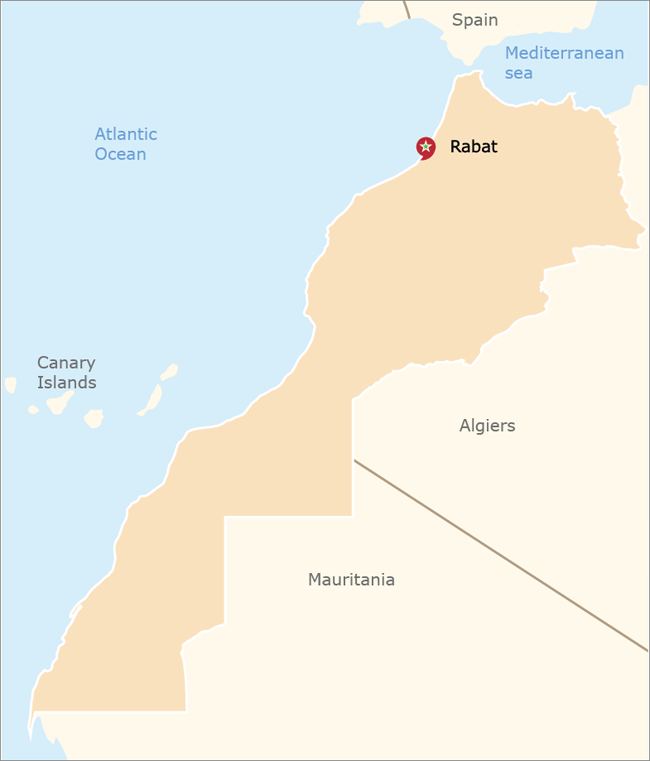 The Kingdom of Morocco is a country located in North Africa. It is part of the Maghreb Region along with Tunisia, Algeria, Mauretania and Libya, with which it shares cultural, historical and linguistic ties. Morocco has an estimated population of approximately 35 million people, and the official languages are Arabic and Berber. Morocco's economy is considered a relatively liberal economy governed by the law of supply and demand. Since 1993, the country has followed a policy of privatization of certain economic sectors which used to be in the hands of the government. Morocco has become a major player in the African economic affairs, and is the 5th African economy by GDP (PPP). Morocco was ranked the 1st African country by the Economist Intelligence Unit' quality-of-life index, ahead of South Africa. Trademarks are assigned through the Moroccan Industrial and Commercial Property Office. Morocco is a member of the Madrid Protocol. A trademark is valid for 10 years and may be renewed for further periods of 10 years each.